Last Wednesday, I was to help my cousin, Donny with a task of netting numerous goldfish from his landscaping pond. The pond is five feet in the center and around 12 feet long and 6 feet in width. The pond features water lilies and water iris plants. The net we were to try was a 6 feet by 4 feet net with strings attached. Needless to say all attempts failed to catch any of the 2-3 inch long goldfish. A number of unforeseen obstacles occurred allowing the fish to avoid capture. Donnie said he is going to drain the water! 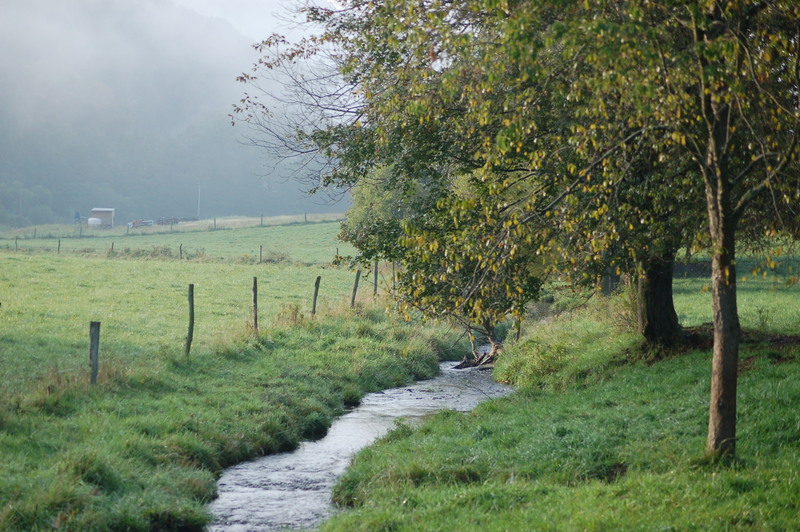 Anyway, I covered some back country roads en route to mu cousin’s home and saw a number of deer and turkeys. 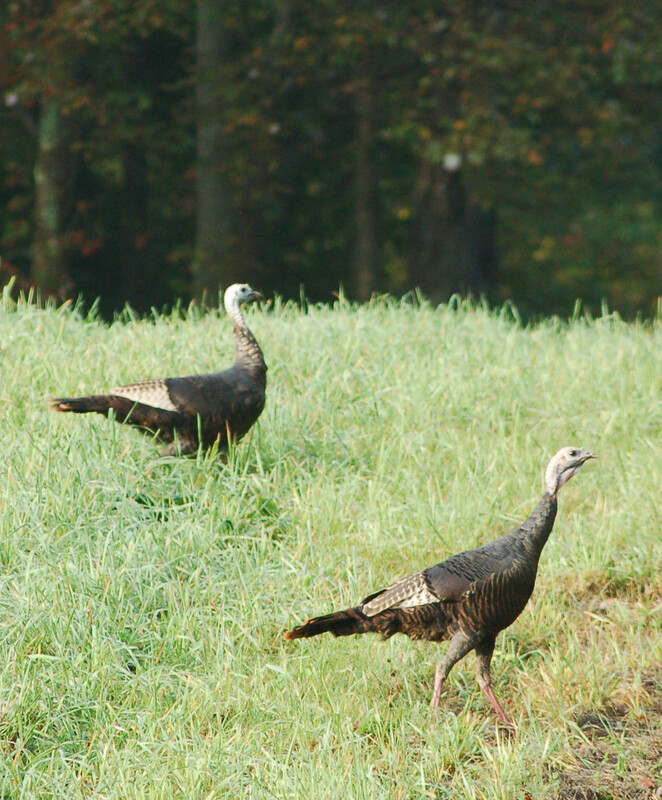 I actually saw some longbeards in a field. Later, I hiked at a local state game lands. Wildflowers are everywhere! 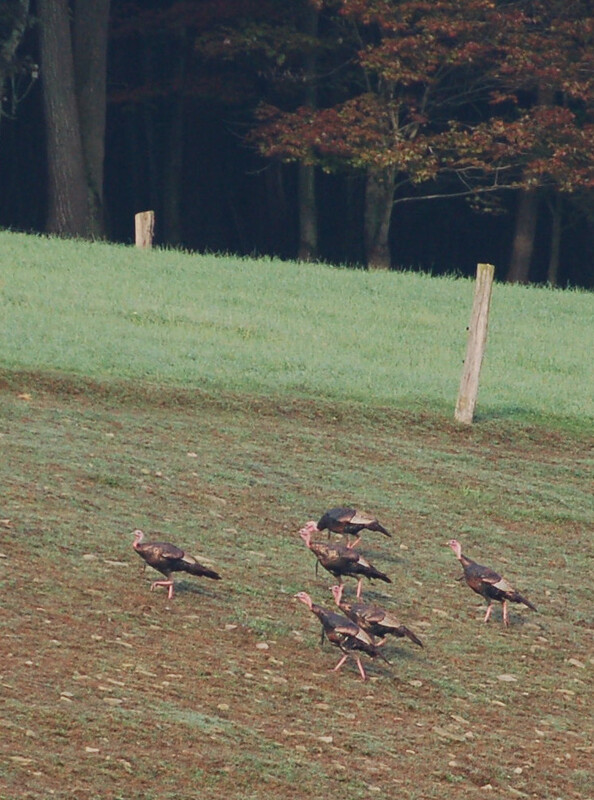 Behind the house a saw a fairly nice buck and a flock of 18-22 turkeys feeding on grasshoppers. 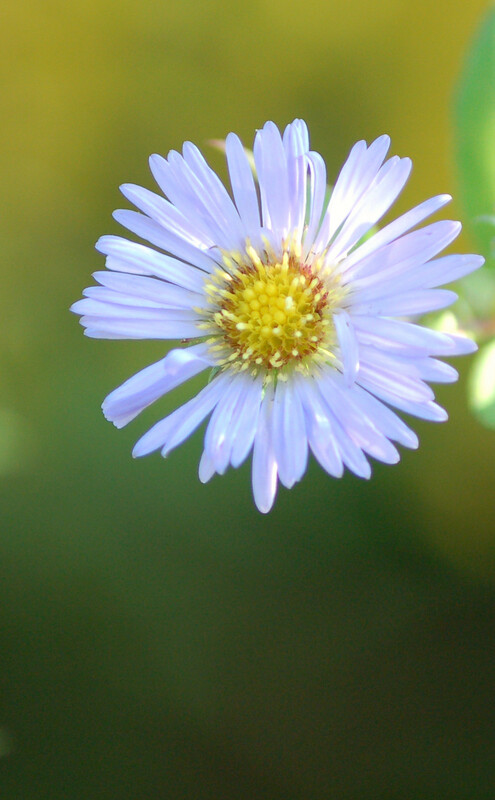 I have many of the New England Aster growing along my creek. They are a pastel blue in color and are quite numerous. They reach over 6 feet in optimum conditions. The foxtail is a valuable grass. 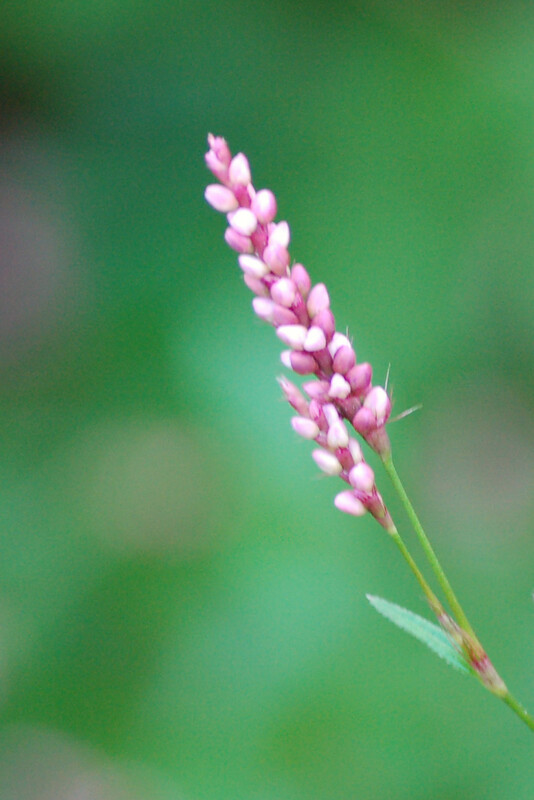 This plant is not a wildflower, but I decided to take a photo anyway. 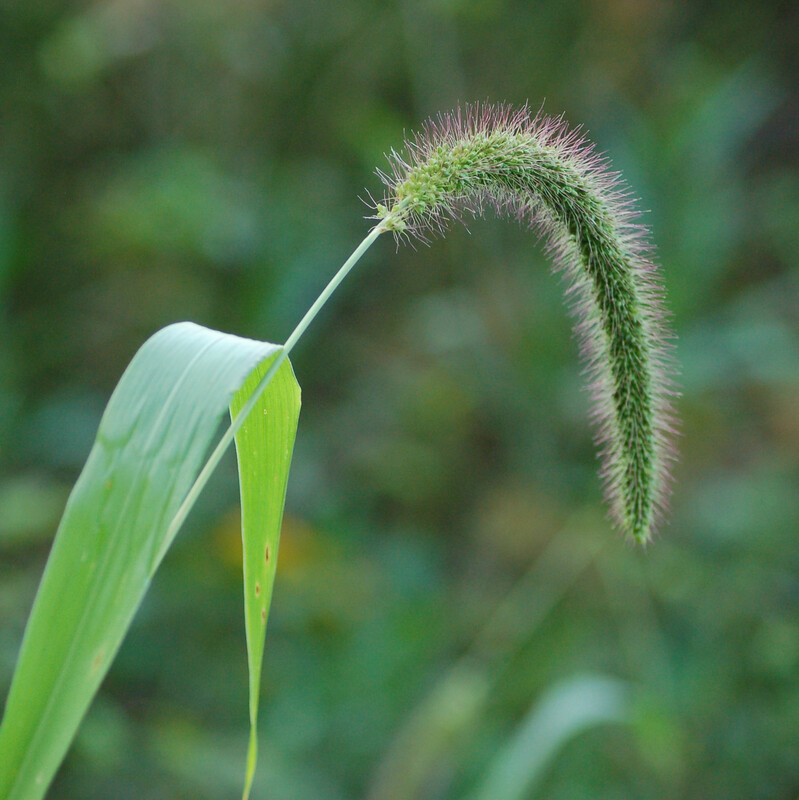 In my youth, one could walk the corn fields and see foxtail everywhere. The seeds are a favorite food source for many specie of wildlife. I used to hunt doves in such areas. 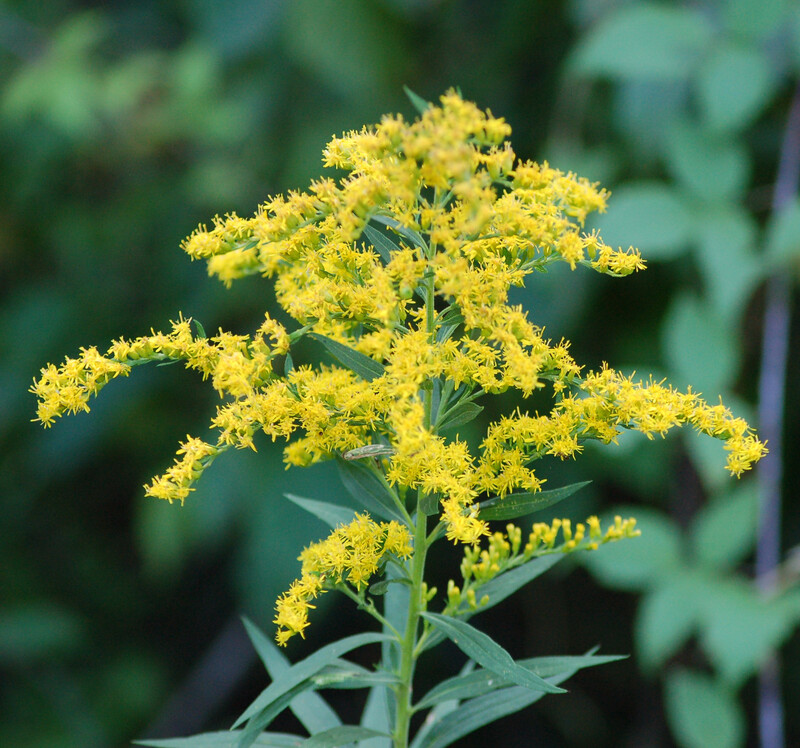 Fall wildflowers tend to be predominately whites and yellows to my thoughts. 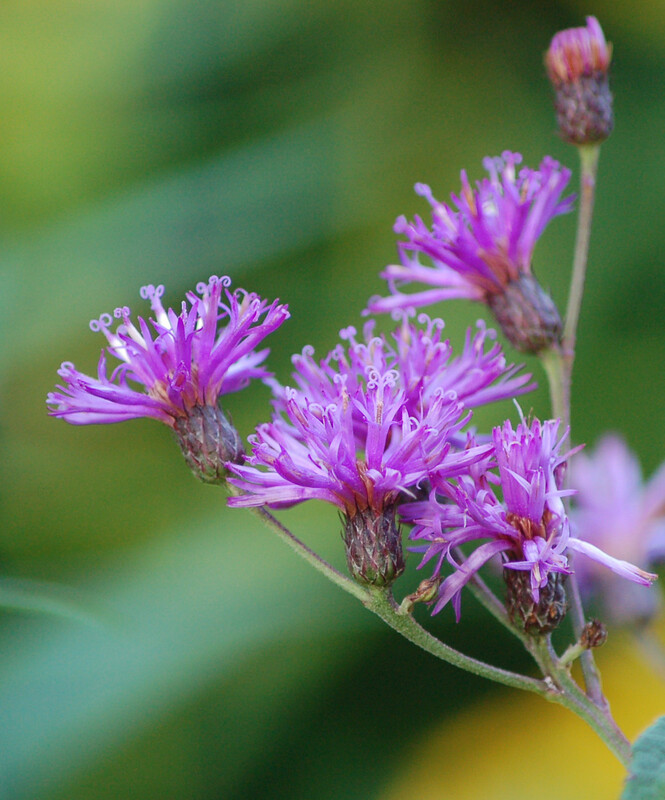 However, the ironweed flowers are a deep pink-purple in color standing out dramatically within the yellows, white, greens and beige of overgrown areas. Call me weird, but wildflowers are a blessing to me. I enjoy following their progress from late winter to early winter. The annual cycles continue and the flowers are always right on schedule!